It may not seem like it, but choosing the right dentist is a big deal. It’s the biggest deciding factor in the quality of your oral care, and a decision that greatly impacts your overall health and wellness. That’s why it’s important to select a dentist that’s professional, established, and most importantly – one that puts your care and comfort first. 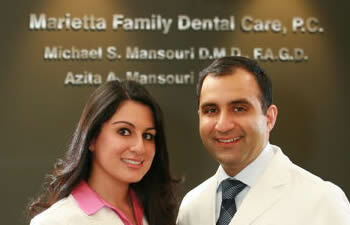 If you’re in the market for a new family dentist, consider these tips. Ask around and do some research. Getting recommendations from people you trust is a great way to begin your search for a dentist or dental office that’s right for you and your family. You can extend your search online, and do some additional research by looking at other patient reviews, too. And if you find that a dentist’s reviews are primarily positive, you’re probably on the right track. Evaluate the dentist’s credentials and experience. How long has this dentist been in practice? Are they experienced in the type of care you need? If you’re getting a specific procedure done, how many of that procedure have they completed? What’s their background in terms of education and post-grad training? These are just some of the questions you could ask/research. Consider how well this dentist fits into your life. Aside from care and quality, it’s important to consider the type of fit your dentist will be in your life. Are they close to home or work? What type of scheduling do they offer? Choosing a dentist that’s convenient and accessible makes it more likely that you’ll keep your appointments and follow through with your oral care. The team at Mansouri Family Dental Care and Associates seeks to provide only the highest quality dental services to all our patients, and we’d love to be your family’s go-to for the best in compassionate, professional dental care.